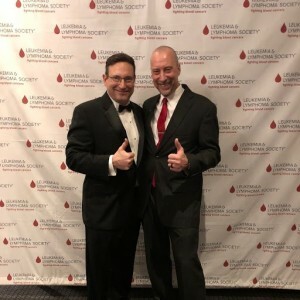 Last week I had the honor of being the mission speaker at the Leukemia & Lymphoma Society’s Students of the Year Grand Finale in Philadelphia. It was an amazing event raising over $200k in the fight against blood cancers. 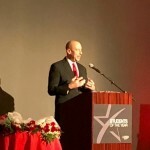 Fox 29 and Penn Medicine’s Dr. Mike Cirigliano was the evening’s emcee. PASSION – Find something that you are passionate about, give 100% to it, and savagely devour it. HUMILITY – You can be proud but still humble if you just focus your energy on the size of your footprint and not the sound of your footsteps. KINDNESS – Yea, it really does matter. It’s easy. It costs nothing and it can change two lives at a minimum. Yours and the recipient of your kindness. And sometimes the smallest acts can have the biggest impacts. CHOICE – AHHHH yes. CHOICE. The one thing that every single person has that can create, define, or destroy depending on how you use it. Use it wisely. And lastly – LIVE BOLDLY. ALWAYS sign up for tough and scary things in life because they better prepare you for the toughand scary things that WILL come your way that you DIDN’T sign up for. This entry was posted in cancer, charity, leukemia & lymphoma society and tagged leukemia & lymphoma society, Lls, students of the year. Bookmark the permalink. Both comments and trackbacks are currently closed.